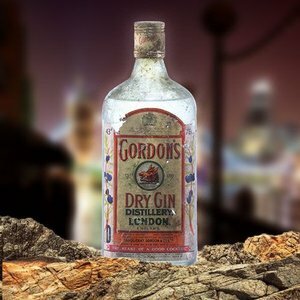 This highly regarded company was established in 1858 by Jean Baptiste Dor, a doctor living in Jarnac. But it was his son Amedée Eduard Dor who thirty years later named the company AE Dor. 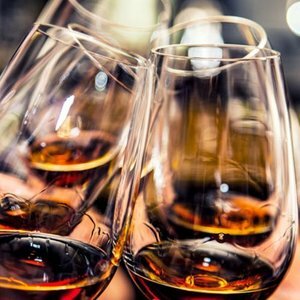 It was his life-long passion to strive for high-quality cognacs and he arduously searched for the very best and old cognacs in the region. It earned him the nickname by his contemporaries: “l’Antiquaire du Cognac”. After very long aging, up to seventy years, he transferred them to demijohns which he sealed with wax. They were kept in his Paradis, locked behind wrought iron gates. These are now the great treasure of the AE Dor company for which they are famous. Although they have moved to a newer warehouse, this old Paradis in the center of Jarnac still exists and forms the heart of the AE Dor company, from which they can make their renowned vintage cognacs. From 1922 till 1972 the company was managed by Jean Baptiste's son-in-law, who in 1951 received permission to sell his cognacs below 40% ABV. Noël was able to prove that his cognacs had reached this lower alcohol level by pure evaporation alone and until today A.E. Dor is the only company allowed to do so. 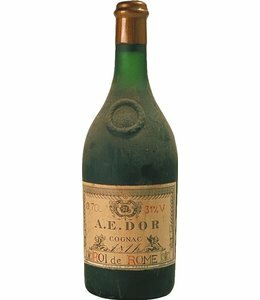 After 1972 AE Dor became the property of the Bénédictine group of the Legrand family. During this period the company was led by Philippe Mitterand, brother of the former French president, François Mitterand. The Bénédictine company, however, showed little interest in the brand and it was very fortuitous that in 1982 Jacques Rivière, assumedly urged by his wife Odile Rivière, decided to buy the company. Although she did not know the trade, she learned very fast and from the best to become a top-notch cellar master, arguably one of the best in her time and highly respected by her colleagues. She instantly recognized the immense treasure that was lying in the cellars, going back to the pre-phylloxera era, that is to say: of before 1874. Within a decade she made her name. Sadly she died too young in a car crash in 1992. 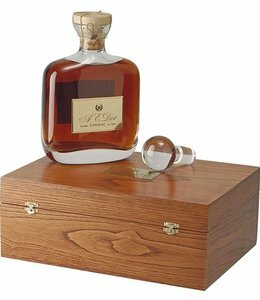 But her legacy is famous and people around the world search after the blends by her hand, notably the Vieille reserve cognacs numbers 9, 10 and 11. After her tragic death, Jacques Rivière decided to continue her work in honor of her achievement. She almost single-handedly managed to revive a brand that seemed to have been left to die. Soon after, his son Pierre-Antoine Rivière joined him and together with Béatrice Coussy as a cellar master they now still make grande cognacs, even though in 2015 they became part of Unicognac. AE Dor, first of all, is a merchant, but throughout the times they also almost always have had vineyards of their own. Around 25 acres and they are mostly in the grande and petite champagne districts with a little bit in the fins bois. A related distillery, in Chateauneuf-sur-Charente, distills the yields of these farmlands. They also have almost 200 acres under contract. Besides blends, they make a fair amount of grande champagne, petite champagne, and fine champagne cognacs. You can find AE Dor in some of the best restaurants throughout the world. Their famous cognacs are the numbers 1 till 6: no. 1 Age d’Or (1893), no. 2 Excellence (1889), no. 3 Prince Impérial (1875), no. 4 Napoléon III (1858), no. 5 Louis Philippe (1840). An 1805 Soleil d’Austerlitz of 30% ABV and an 1811 Roi de Rome of 31% ABV (Fins bois). The numbers 9 till 11, grande champagnes blended by Odile Rivière and the numbers 6 till 8, grande champagnes blended by Jacques Rivière.